There were 686 press releases posted in the last 24 hours and 153,493 in the last 365 days. 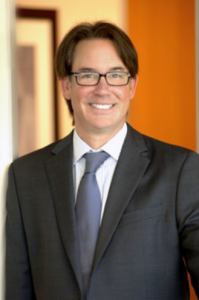 In civil law cases, there are proposals pending to address the legal needs of those unable or unwilling to hire a full-fledged Attorney, notes Curt Surls. There is an evolving group of Paralegals that ascend the ranks to act almost like attorneys, similar to Nurse Practitioners who in many cases diagnose and treat health conditions. In civil law cases, there are proposals pending (or already implemented in certain States, as explained below) to address the day-to-day legal need of those unable or unwilling to hire a full-fledged Attorney. This includes the commonplace legal needs of low to moderate-income people by authorizing limited practice by licensed non-lawyers, now known as “paraprofessionals.” This is easy to understand. Many procedures or applications are difficult to understand for “normal” people who are not exposed to them on a daily basis. For example, even forms provided by Courts to make certain filings simpler and possibly enable people to file the forms or applications themselves without the assistance of an Attorney are quite difficult to understand that at least some explanation is still required. This concept has been gradually gaining acceptance. Unlike Paralegals, such paraprofessionals provide services without the direct supervision of an attorney. At this point, two state supreme courts have embraced the “licensed legal technician” concept, and other jurisdictions are closely monitoring its viability. Given the high percentage of self-represented parties in courtrooms around the country, some advocates believe regulated legal paraprofessionals (charging lower fees) can help narrow the access-to-justice gap. That may one day be the case, but the paraprofessional model and its efficacy in addressing this disparity remain unproven, and ethical rules prevent such a system at least at present. Washington State pioneered the “limited license” model. In 2013, after years of study, the Washington State Supreme Court adopted the concept of the “Limited License Legal Technician” (LLLT) to perform specific legal services in the area of domestic relations. LLLTs are subject to stringent requirements, which include obtaining an Associate’s degree or higher and completing additional specified coursework; performing 3,000 hours of Paralegal work; passing three law and ethics exams, as well as a character and fitness review. 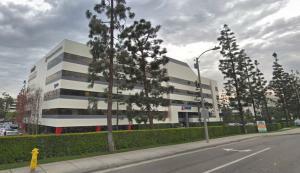 Further, they must also complete a licensing program, satisfy financial responsibility requirements, as well as continuing legal education, and meet malpractice insurance requirements. LLLTs are subject to rules of professional conduct and a disciplinary process similar to those that apply to attorneys. The Board that oversees the LLLT program is now considering expanding the subject matter areas in which paraprofessionals may practice to include consumer debt law. Several other U.S. States are now following this example. The scope of permissible work for “limited license” paraprofessionals differs under these various models that have been proposed. It generally includes assistance to clients in understanding legal proceedings and completing court forms and other form documents, but does not include appearing for a client in court or at depositions, or taking on complex legal matters. For example, LLLTs in Washington currently may not represent a client in mediated negotiations, but they may do so in Utah. One of the main reasons for this development is the realization that there is massive need for some form of representation in civil law areas for vast numbers of the population that are attempting self-representation due to limited access to attorneys (mostly due to financial restraints). This is in spite of legal aid societies as well as significant pro bono attorney services. A large number of individuals continue to represent themselves in these areas and could benefit from paraprofessionals. This access-to-justice disparity has prompted State Bars and court systems to promote other forms of nonlawyer assistance to pro se parties, including courthouse navigators and facilitators (examples are Arizona, New York, California, and Washington), and legal document preparers (Arizona, California, and Nevada). Many other States are looking into other forms of permissible assistance (“judicially-authorized-and-regulated legal service providers”) to help address the problem of unmet legal needs. A Certified Paralegal is a Paralegal who has completed the voluntary certification process of a professional association by developing a specified level of professional competency. The various accreditation bodies include: The National Association of Paralegals (NALA) which awards the designation of CP (Certified Paralegal) and CLA (Certified Legal Assistant) to those who meet their specific requirements and complete the competency examination. NALA also governs certain Advanced Specialty Certifications (CLAS) programs, and there also exist certain state-specific advanced competency exams. The National Federation of Paralegal Associations (NFPA) awards the designation Registered Paralegal (RP) to persons who have met its requirements, which requires passing a specific competency examination known as the Paralegal Advanced Competency Exam (PACE). The National Association for Legal Professionals (NALS) awards the Professional Paralegal (PP) certification designation which reflects a proficiency in procedural law, substantive law and an overall commitment to a higher standard of conduct and professionalism. NALS' Professional Paralegals may distinguish themselves further by earning Specialty Certifications in various substantive law areas. 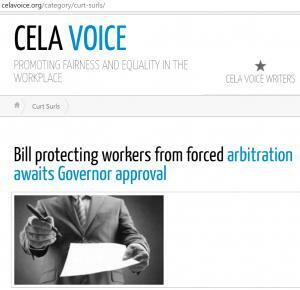 Curtis Surls is an attorney in the areas of Employment Discrimination, Sexual Harassment, and Wrongful Termination. 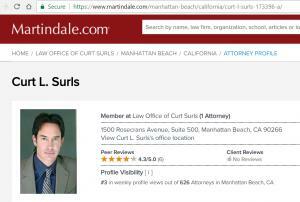 Located in Manhattan Beach, California, the Law Office of Curt Surls offers a complete range of employment law services to those living throughout Southern California, including all of Los Angeles, Riverside, Orange and San Bernardino counties. With nearly 30 years of experience focusing almost exclusively on this area of law, attorney Curt Surls and his law firm provide the personalized assistance and effective support his clients need.